The legal and compliance recruitment market remains very active in 2015 – we have seen some consistent and interesting trends this year. Compliance within the financial services sector remains a consistent and rapid growth area due to strict regulatory requirements. An interesting new development in 2015 is the growth in corporate compliance. We are seeing lawyers moving into both areas. In private practice, most growth was generated from US firms entering the Hong Kong market previously, but more recently there has been an upsurge of reputable PRC Chinese firms establishing their presence given the strong demand for Mandarin-speaking lawyers for Chinese clients. Mainland companies are looking to set up their legal teams in Hong Kong by hiring their first General Counsel whilst financial institutions are still focusing more on mid to senior-level hiring. However, there is no doubt that Hong Kong is a candidate-short market and Chinese language skill sets are now almost a mandatory requirement in most cases. In terms of practice areas, corporate finance, M&A and litigation (such as commercial, financial services/regulatory, shipping and construction) lawyers remain to be the most in demand. The high activity in the IPO market continues to create more opportunities in the corporate space, while Hong Kong’s position as a hub for arbitration, commercial and regulatory litigation continues to drive the demand for litigators and arbitrators. The funds area has been a hot topic this year especially since the Hong Kong-Shanghai Stock Connect has opened new markets. After July, hundreds of A-share focused funds managed by mainland fund management houses will be released to the Hong Kong market as a result of the mutual recognition of funds programme between Hong Kong and Beijing. The effect of this means that there will be a lot of work in the investment funds and regulatory space and law firms which specialise in this area will be able to capitalise on this trend. Therefore, lawyers with investment products or investment funds experience including equity funds, balance funds, bond funds, monetary market funds, ETF, as well as regulatory SFC and compliance experience will be in high demand. There has been a strong demand for Mandarin-speaking lawyers across the board, with magic and silver circle firms, US and local firms all competing for those with solid education and law firm training. Offshore law firms are perhaps the one exception, as Chinese language skills are sometimes not required in areas such as corporate, litigation and funds, provided that candidates are Commonwealth qualified solicitors. 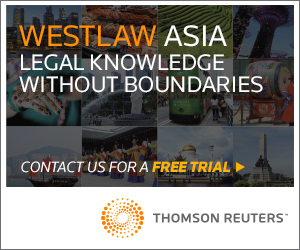 The competition for talent has been intensified by the upsurge of well-established mainland Chinese law firms opening up offices in Hong Kong. Mainland Chinese firms that have already established a presence in the city have also been attracting professionals to move from international firms, as some view the former to be able to offer better exposure, wider scope of work and also more client contact/ownership. More importantly, these PRC firms offer expedited paths to career progression and we have seen some Counsel level lawyers from magic circle or international firms with a portfolio of business move to partnership roles in these firms. 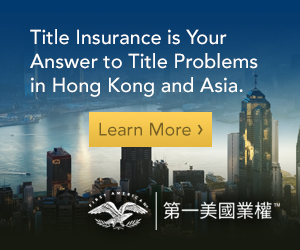 In-house legal teams also place a high emphasis on Mandarin when hiring legal professionals, making it the greatest barrier for lawyers to enter the in-house market. 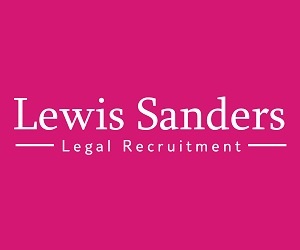 However, if the candidate is senior enough (such as at the General Counsel level) and the team has other Mandarin speakers who they can delegate work to, organisations are often willing to relax the language requirements provided that candidates have APAC experience. Corporate and commercial legal professionals with experience in listed companies and intellectual property/trade mark/brand protection/prosecution will be highly sought-after by companies in the commerce sector. As brands become increasingly aware of the value patent, trade mark and copyright have on their products and are more aggressive in the way they protect their products, we are seeing an increase in litigation and the demand for IP lawyers. 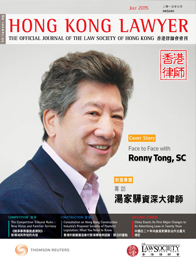 The rapid expansion of mainland Chinese companies in Hong Kong, especially those in the luxury retail and fashion and technology sectors, has also meant that they need to develop on-the-ground legal support. Some of these companies are looking to hire their first General Counsel and set up a legal team. Within financial services institutions, junior to mid-level professionals with three to six years’ post-qualification experience will be in high demand. Those with experience in investment funds, derivatives, corporate finance, and custody will be the most sought-after as these products are most utilised by the banks. Preference will be given to candidates with strong law firm training as they are able to work autonomously within a short period of coming on board. We have also seen an increase in contract positions in financial services firms, especially for funds and custody positions within asset managers and fund administrators. This is mainly due to growing markets and a lack of permanent headcount. There is often an opportunity for contractors to be converted into a permanent hire if the candidate can demonstrate strong performance. Compliance is an area in the legal market where Chinese language skills are less of a demand and the tightening regulatory SFC and HKMA requirements continues to create new job opportunities. Employers are also more willing to provide on-the-job training due to the shortage of compliance professionals. As a result both lawyers and those with a regulatory background are attractive candidates for these compliance roles. Financial services firms continue to grow their compliance departments in response to tightening regulations and will be actively looking for professionals across all levels of seniority in the functions of anti-money-laundering (“AML”), financial crime, trade surveillance, equities compliance and control room. The short supply of candidates means that banks are more flexible and are willing to consider professionals from ‘Big Four’ background with experience in AML, fraud and investigation for junior-level roles. Candidates with a legal background or lawyers with exposure to conflicts, AML, FCPA, UK Anti-bribery Act or financial services litigation will also be considered. In general, we have seen investment banks growing at a slower rate compared to last year, but there has definitely been an increase in demand for buy-side compliance professionals for the first half of 2015. Apart from compliance in financial services firms, the growth of compliance in the corporate sector – especially in the pharmaceutical, FMCG and leisure/entertainment industries – has also generated plenty of new opportunities. According to the Robert Walters Asia Job Index Q1 2015 report, the number of job advertisements in the legal and compliance sector in Hong Kong saw a 38 percent increase year-on-year. With the ever increasing competition for talent, organisations will need to offer competitive salaries and we have seen both law firms and the compliance market break rigid salary bandings as a response. In 2015, compliance professionals who switch jobs could normally command a 15–20 percent increment. For in-demand areas such as AML and control room, some could receive up to 30 percent. Lawyers moving from law firms to financial services or commerce and industry sectors are often willing to take a drop of 5–10 percent to move in-house with opportunities for career progression and potential upside in annual discretionary bonus. More importantly, if hiring managers are willing to relax language requirements and consider non-Mandarin speakers, it will certainly help to increase the candidate pool.